Home / News / Could you give Hector – Britain’s loneliest dog a home? Could you give Hector – Britain’s loneliest dog a home? A dog called Hector has been branded as the ‘loneliest dog in Britain’ after spending more than 500 days at an animal shelter. Staff and volunteers are desperately trying to find a home for their loneliest pup, who was rescued in October 2017 over welfare concerns. 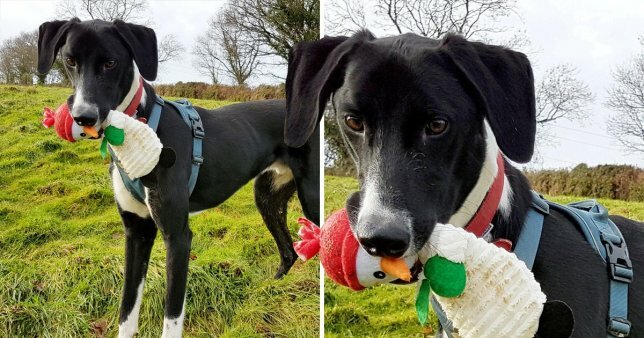 But despite having a small fan club online, the RSPCA’s Little Valley Animal Shelter in Exeter, Devon, has been unable to find him a ‘forever’ home. Shelter manager, Jo Evans, said: ‘Hector is hilarious. He never fails to make us smile and is a firm favourite with all who meet him. ‘He’s adored by staff and we can’t understand why he is always overlooked. This big lad has lots of love to give so if you have space in your heart and home then please get in touch. According to the rescue shelter, Hector absolutely loves meeting and playing with other dogs and could happily live with older children – though he would be best suited to being the only pet in the home. If you’re able to offer the two-year-old pup a home, please contact Little Valley on 01392 439898.